The Champion Hurdle was notable for the victory of Istabraq, who justified odds of 8/15 to win the race for the third year running. Owned by John P. MCManus, trained by Aidan O’Brien and ridden by Charlie Swan, the 8-year-old quickened clear in the closing stages for an impressive, 4-length win over Hors La Loi III. In so doing, he became just the fifth horse – after Hattons’s Grace (1951), Sir Ken (1954), Persian War (1970) and See You Then (1987) – to win the Champion Hurdle three times. The Queen Mother Champion Chase featured a dramatic finish between Edredon Bleu, trained by Henrietta Knight and ridden by A.P. McCoy, and Direct Route, trained by Howard Johnson and ridden by Norman Williamson. Having jumped well throughout, Edredon Bleu was sent for home with four fences to jump and, although collared on the run-in by Direct Route, rallied bravely to win by a short head, with favourite Flagship Uberalles a further 6 lengths away in third. To add insult to injury, Norman Williamson received a ten-day ban for using his whip in the wrong place. The Stayers’ Hurdle was won, in workmanlike style, by Bacchanal, owned by Lady Lloyd-Webber, trained by Nicky Henderson and ridden by Mick Fitzgerald. The 6-year-old tackled the long-time leader Limestone Lad approaching the last flight and, despite wandering on the run-in, stayed on well to win by a length. 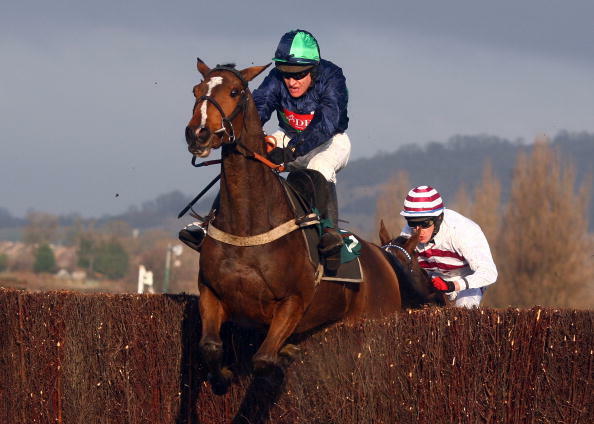 The Cheltenham Gold Cup had the distinction of being run in a new record time, 6 minutes 30.3 seconds, and was won by Looks Like Trouble, owned by Michael Worcester, trained by Noel Chance and ridden by Richard Johnson. Despite blundering at the tenth fence, the 8-year-old jumped boldly – on occasions, almost recklessly – for most of the way and stayed on gamely on the run-in to beat Florida Pearl by 5 lengths. 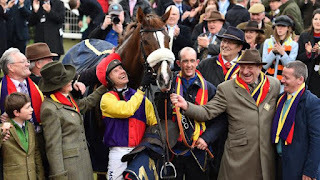 The Jordan Henderson Grand Annual chase is another one of the popular races that mark the final day of the annual Cheltenham festival. It is a grade three competition that is held on the left-handed, turf surface New Course. horses as a way of evening out the race. It boasts the honour of bringing down the curtains on the four-day festival. This race prides itself as the oldest event at the festival, having been first run in 1834. The initial editions were held in the neighbouring Andoversford course across three miles of an unrestricted track. The race has undergone a lot of evolution since then, including the standardization of the track and the inclusion of handicaps. It has also had several interruptions due to war and natural calamities, especially in the first century. Henderson, has been a seasoned trainer and a popular figure at the festival. Horses of age eight, nine and ten years appear to flourish best in the Grand Annual. Since the turn of the 21st century, horses in this age bracket have won 12 of the 17 editions held (The race was also a casualty of the 2001 foot and mouth scare). Only one five-year-old horse (Hipparchus in 1954) has won the race since 1946.